The most interesting spleef is the one where players feel comfortable. This time DarkSide invites players to go to a very strange arena. No, this is not a coliseum or a gladiatorial arena; this is a real pizza enlarged several hundred times. You, as participants in the game, will very quickly run through it like ingredients. The main task of any spleef, like this, is the destruction of enemies, but throw aside your sword and bow, you will need a completely different tool. Now your weapon will be a shovel, yes, the most common shovel. 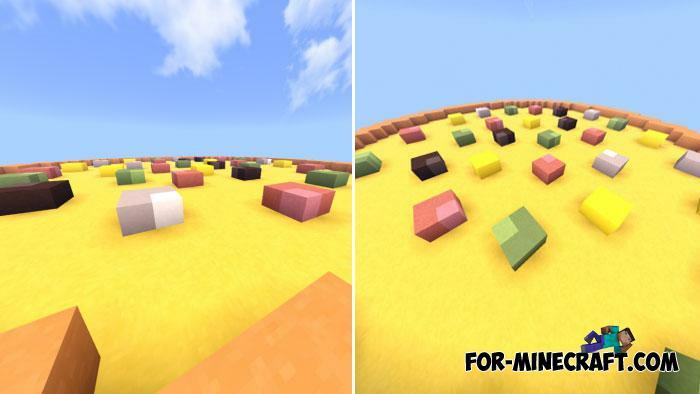 It will help you quickly dig blocks under the feet of other players, so that they fall down. It is not difficult to guess that the winner will be the one who remains the last live player. 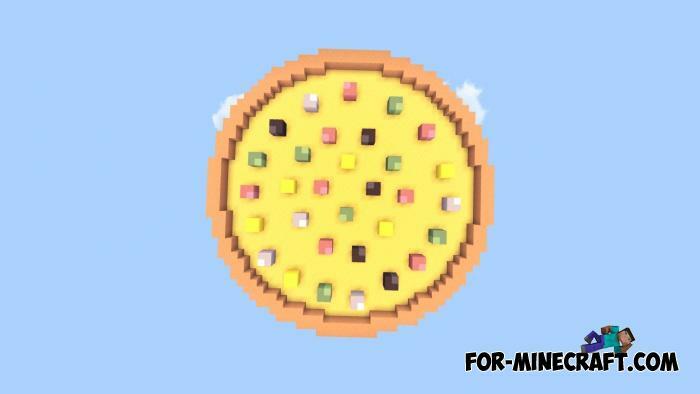 Regarding the number of participants: Pizza Spleef is a fairly small platform, so 6 players is enough for an optimal game. Play Minecraft PE 1.11 if you have Android or 1.10.0 for iOS. Super Spleef map for Minecraft PE 1.7/1.8This Spleef surpasses the others due to the game speed and the small size of the presented arena..